No matter where our leadership roles find us-on the football team or in the corner office; organizing family activities, creating public policy, or teaching from the pulpit-all leaders are marked with character, the result of their being made in the image of God. All also are marred by sin and shortcomings. The most effective leaders, though, are the ones who embrace those realities as they are re-made by God, into the image of Christ. 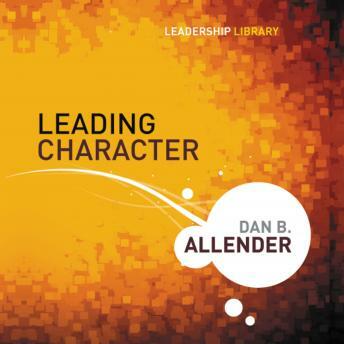 Author and speaker Dan Allender draws on humor, real-life stories and biblical truth to argue that every leader must both have a character and be a character. How can we proclaim resurrection without naming death and darkness? Likewise, how can we be renewed and restored without acknowledging the reality that we are marred? "It is in our brokenness," he concludes, "that we have our greatest opportunity to reveal the heart of God's goodness." And the greatest opportunity to enhance and strengthen our leadership.